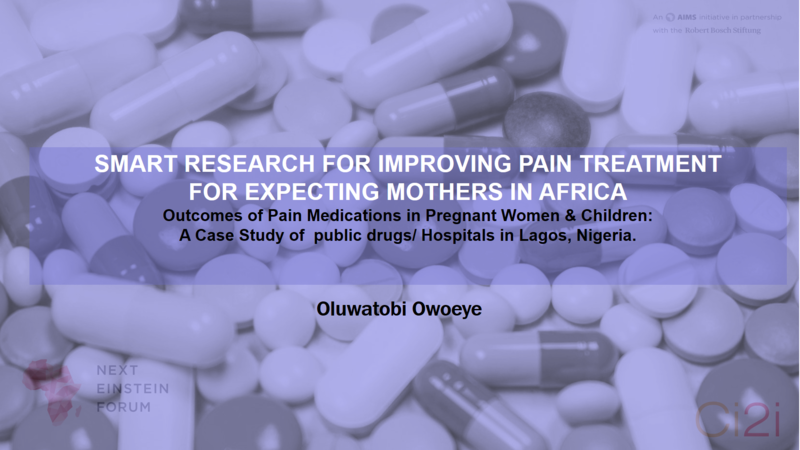 Outcomes of Pain Medications in Pregnant Women & Children: A Case Study of public drugs/ Hospitals in Lagos, Nigeria. I recently got invitation to attend the largest scientific gathering on African Soil held in Kigali, Rwanda 26th to 28th of March, 2018. 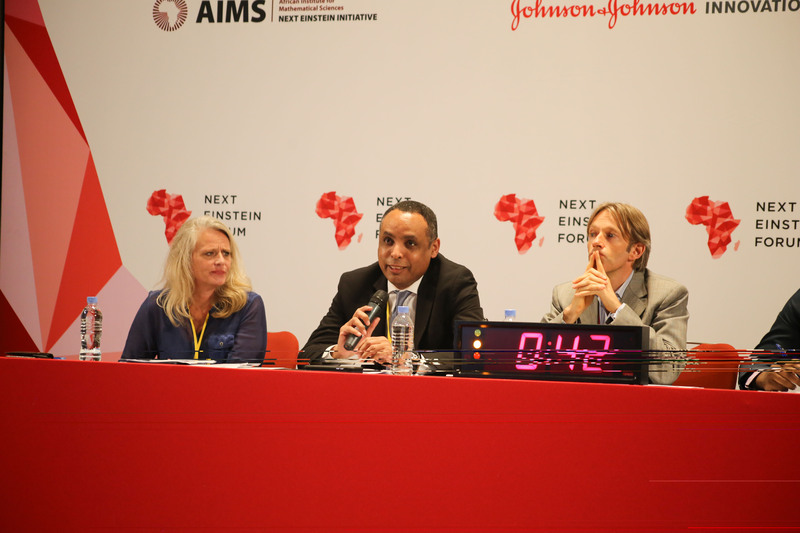 The Next Einstein Forum (NEF), an initiative of the African Institute for Mathematical Sciences (AIMS) in partnership with the Robert Bosch Stiftung, today announces the top 16 finalists for its second edition of the Challenge of Invention to Innovation (Ci2i) innovation competition to be held at the NEF Global Gathering 2018 in Kigali, Rwanda on 26-28 March 2018. 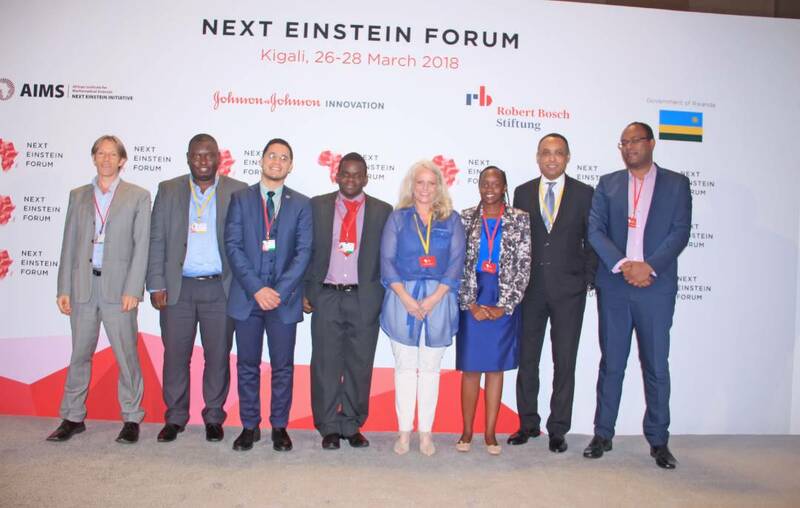 The organizers, known as African Institute of Mathematical Sciences, Next Einstein Forum selected 16 finalists to pitch self driven invention with potential scaling to Innovation with the widest radius or impact for the African continent. The three categories featured were Climate, Personalized Health and Deep (Machine Learning) Technology categories respectively. I was pitched with the Deep Technology category. All flight logistics (Round Trip), plus lodging was fully taken care of by African Institute of Mathematical Sciences (AIMs), and Next Einstein Forum (NEF). For the record, this research topic presented is under a larger topic titled, ” ROBOTICS & MOBILE COMPUTING: SAVING HUMAN LIVES THROUGH REAL-TIME SITUATIONAL AWARENESS, ANALYTICS, TRENDING, VISUALIZATION FOR HEALTH CENTERED, DECISION/POLICY MAKING HEALTH INTERVENTIONS: A HANDSONLABS SOFTWARE ACADEMY RESEARCH PROJECT”. Its one of the Health research and development (R&D) Handsonlabs Software Academy is focused on. The Scientific research topic I pitched was entitled, “SMART RESEARCH FOR IMPROVING PAIN TREATMENT FOR EXPECTING MOTHERS IN AFRICA: Outcomes of Pain Medications in Pregnant Women & Children: A Case Study of public drugs/ Hospitals in Lagos, Nigeria”. Women experience pain during pregnancy. Aches, Pains, acute headaches are some of the variations of pains experienced by women during pregnancy. This draws the temptation of taking drugs for relief from these pains experienced during pregnancy. Some of these pains have been medically proven to lead to depression in some demographics in Africa. The first 3 months of fetus conception or pregnancy are medically proven to be very critical to the development of fetal human senses of sight, smell, touch, taste and ears. Therefore any drug taken during this period can cause a great deal of harm to a potential human being in the making. 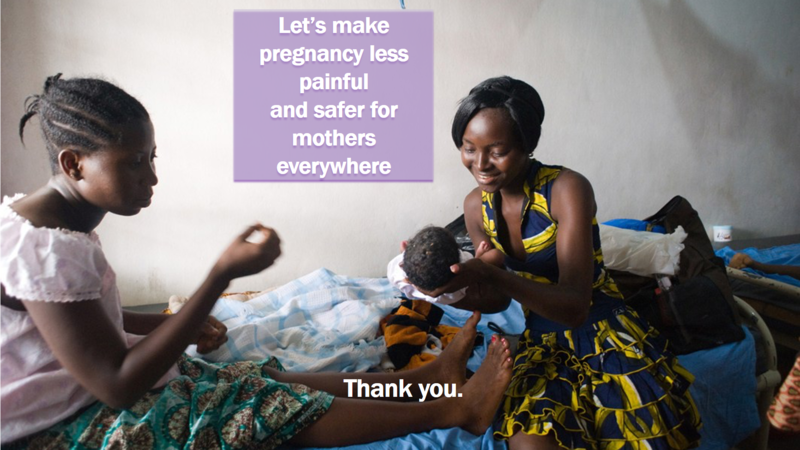 (2) have direct impact on women of reproductive ages. 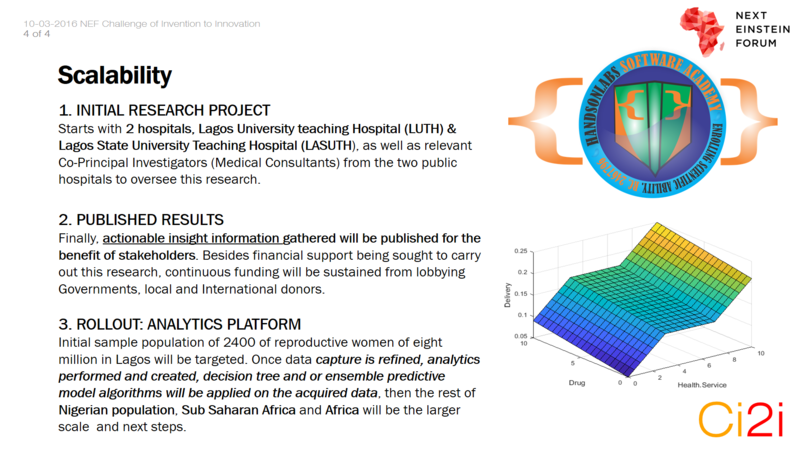 What this research is all about is deploying Web, Mobile Digital Identities to generate useful ACTIONABLE INSIGHTS for Hospital Authorities, State and Federal Ministries of Health, Girls/Women of productive ages in Lagos, Nigeria and beyond. 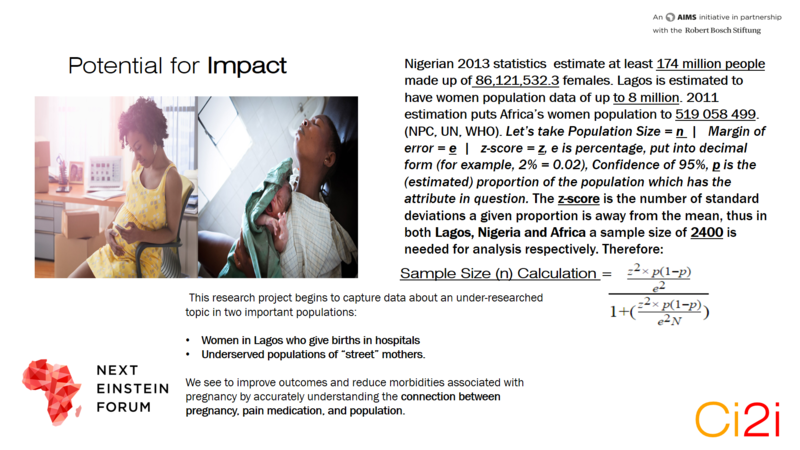 Secondly, I made some elementary statistical description of population of Women in Lagos, and Africa in General, in order to estimate a precise sample size (n), sample population (p), z-score which is the distance from the central mean of tendency, e is the margin of error, p-value which is the valued proportionality of the subject population of women in Lagos who use pain medications in Lagos during pregnancy and a confidence of 95%. b. Undeserved populations of “street” mothers. 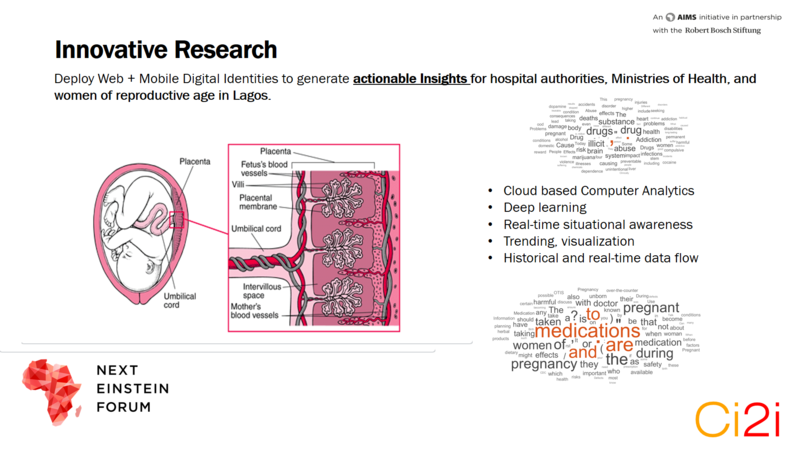 Image simulating the kind of deep learning to be carried out from getting feedback from pregnant women & pain medications in Lagos outcomes, with WORD to Numeric Vector in Machine Learning. Firstly initial target are two public hospitals in Lagos, Lagos University Teaching Hospital (LUTH) & Lagos State University Teaching Hospital (LASUTH). Relevant Co-Principal Investigators (Medical Consultants) from the two public hospitals will oversee this research. Secondly, published findings, results pointing to actionable insights will be published for direct benefit of Stakeholders. Besides financial support currently being sought for this project, continued funding will be sustained by lobbying Governments, local and International donors. Finally, with an initial sample population size of 2400 of reproductive women of the eight million in Lagos, will be targeted. Thereafter data capture is refined, analytics performed and made, decision tree and or ensemble predictive model algorithms will be applied on the acquired data. The rest of the Nigerian population, Sub Saharan Africa and Africa will next steps. At the first instance, this research project is purely humanitarian as human lives are on the line here. Privileged information gathered will be made available to Authorities, especially vulnerable girls in Lagos, West Africa, Sub Saharan Africa and the entire African continent. 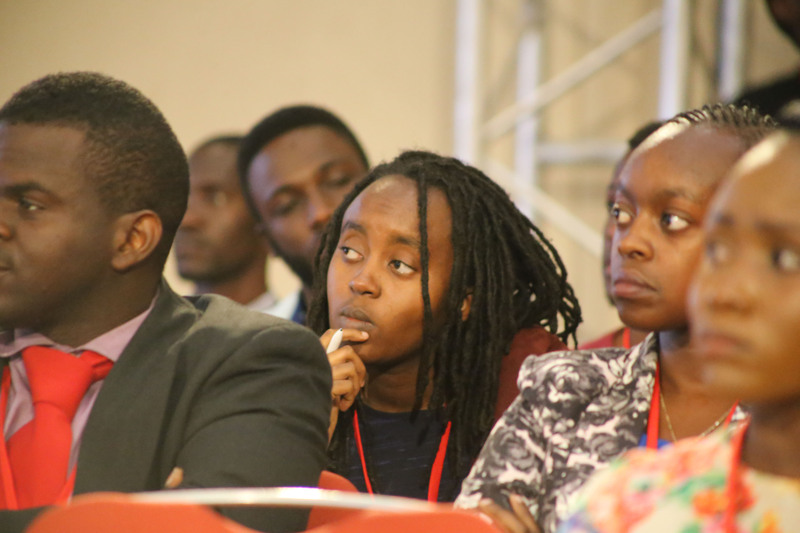 Findings will also be published in all local languages in Africa and material distributed freely to all high school and University girls in Africa. After submitting findings to the Hospital Authorities, Federal & State Ministries of Health, Food & Drug Administration, as well as the concerned African girls/Women of reproductive ages, an annual educative magazine of enlightenment will be published given freely to young reproductive women/girls in diverse local African languages with potential space for advertisement in the magazine which will help sustain the project beyond the current donations and funding needed to start and scale up. If 40% of World Youth will be of African origin in 2050, then this project needs to be rolled out to save potential human capital carriers (young pregnant women & girls and their fetus) who are constantly exposed to these drugs inimical to the well being of both mother and child. I am currently Seeking for funding to roll out this project and successfully save millions of lives in Africa. 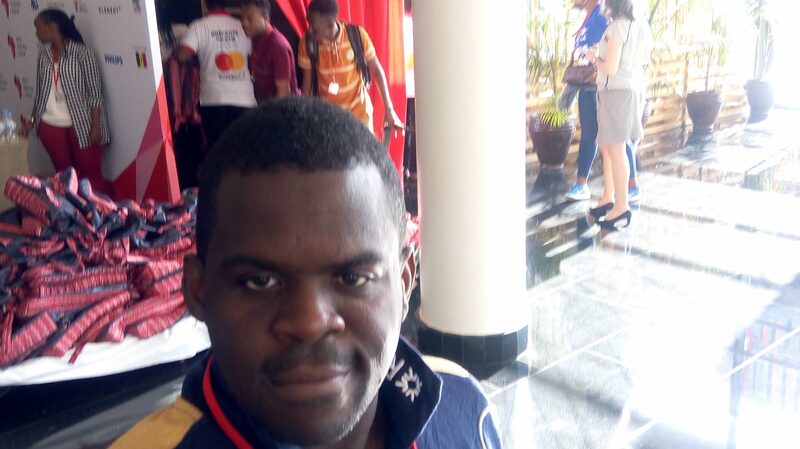 About the Author: Oluwatobi Owoeye has over seventeen years’ experience in Computer Systems and Technologies with several evidence based results. 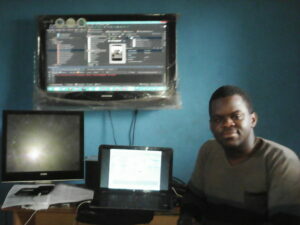 He has worked in several Information Technology projects. A published Author and currently specializing in Robotics & Mobile Computing: Analytics, Computer Vision, Distributed & Parrallel Computing, and Machine Learning.